For a print that radiates low-key party vibes, one you can wear on its own and layered up with your unique stamp of style, checks are IT! 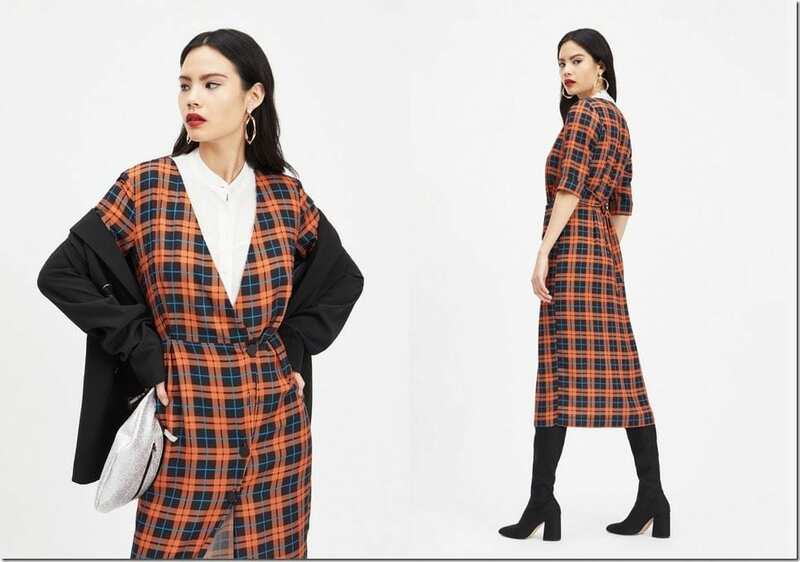 Sometimes, an unexpected print can be all you need to wear for a party and if you’re inclined to giving plaid or checks a go, let me inspire you to take the universal print route with this one. For this compilation, I’m zooming in on the demure midi dresses because the tea length is ever so feminine and graceful. Teamed with the unisex print, one can’t help but to be drawn in by the mix of femininity and masculinity derived from the office-y print type that is worn both by men and women. 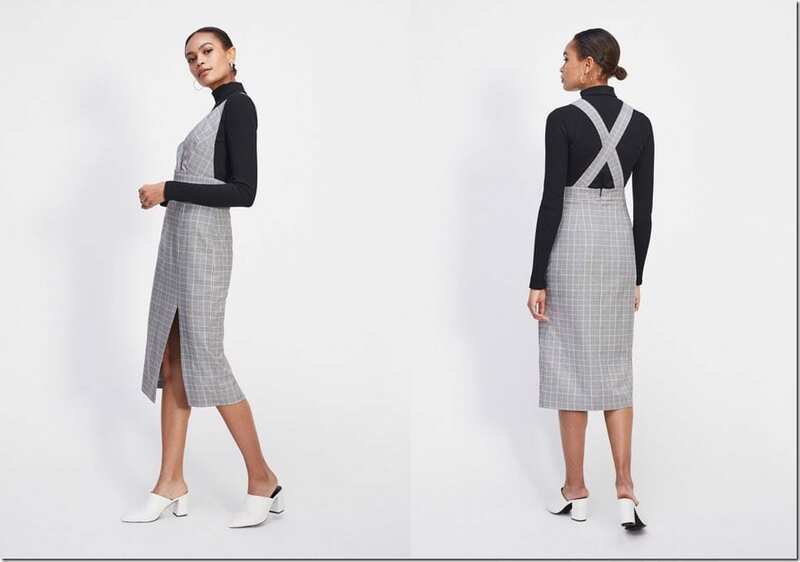 To get you into the mood to wear the check midi dress and even consider the dress style to slip into this party season, simply scroll away and enjoy. The pop of mustard yellow makes this dress so exciting! Wear it in the sun on its own or layered masterfully with a sequin crop top for a party-ready look. Can’t help but to adore the color palette on this one. Warm and autumnal, earthy, retro and cozy! A pinafore with eye-catching back cross straps guaranteed to spice up any of your looks, casual and all dressed up. 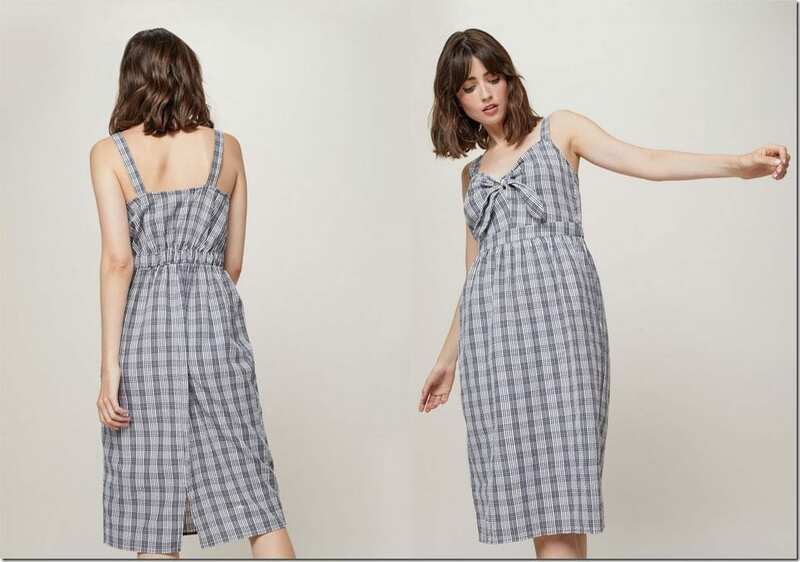 Which check midi dress style would you love to wear? Share below – I’d love to know.